Juno Active provides a variety of plus-size apparel and more for women from all walks of life. Their line of items includes apparel, shoes, and much more. You can use this website to shop for items related to swimwear, active wear, intimates, shoes, and a variety of accessories. Their line of active wear items include tops, bottoms, outerwear, and items related to specific activities. You can shop for apparel items related to swimming, running, yoga, biking, playing tennis, or even playing golf. Their range of swimwear includes a variety of styles and sizes for one-piece suits, tops, bottoms, covers, and more. You can also shop for bras, intimate tops and bottoms, and more. 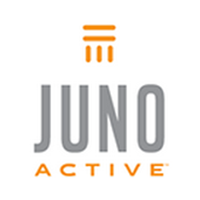 For most up to date offers check out Juno Active on Facebook and Twitter or contact Juno Active Support for any questions.